At Evangel Church in Long Island City, New York, we are not only located in the heart of an ever-changing city; we are also at the epicenter of an ever-changing industry. 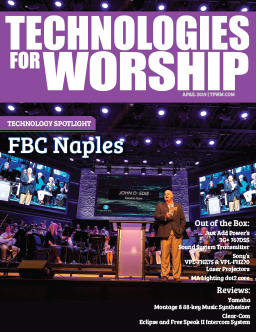 As readers of this publication understand more than anyone, houses of worship today are challenged more than ever with leveraging advancements in technology to best engage their congregations. Evangel Church was founded in 1933, with our current sanctuary erected in 1999 in our 100,000-square-foot facility. Always looking to stay on the cutting edge to best serve our members, we recently decided environmental projection would be a great way to deliver dynamic services in the 1,300-seat sanctuary. 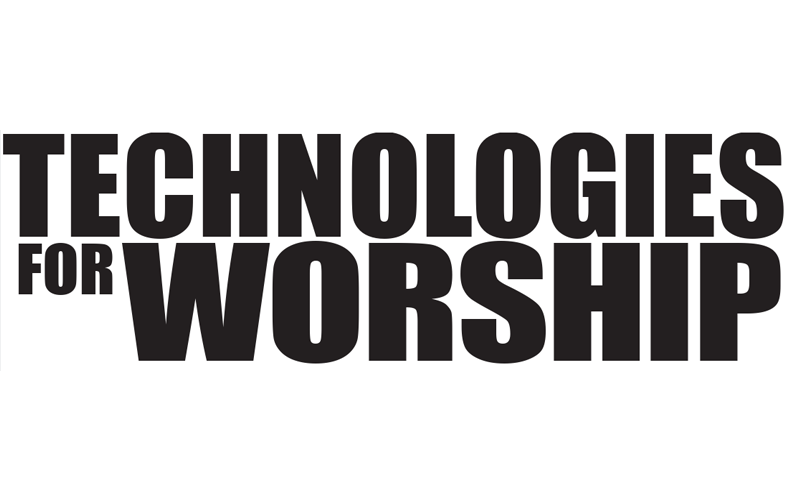 We have found that technology makes a huge difference in the churchgoing experience. The word of God stays the same, what you’re trying to present stays the same, but the way that you present it really needs to constantly be changing with the times. We’ve made a strong effort to bring our services up to speed without turning them into “smoke and mirrors” rock concerts, which wouldn’t connect with our entire congregation. When deciding on a new video system, we were attracted to the idea of environmental projection, where images are being displayed on all of the projectable surfaces in a sanctuary, rather than just on a couple of projector screens. 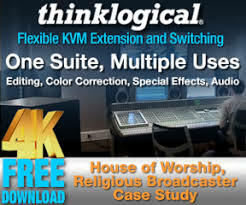 We reached out to a company called Visual Worshiper, headed by Camron Ware, who has been at the forefront of environmental projection in the house of worship community. Camron strongly recommended that we consider Hitachi projectors for this application. We purchased the Hitachi projectors through Shepherd Multimedia of Grapevine, Texas. After an evaluation period of almost three months, we decided on Hitachi for a variety of reasons. 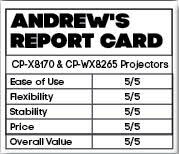 The high brightness of the projectors and visual clarity were huge factors, as was the overall value of the projectors when considering the price-to performance ratio. Our sanctuary now features ﬁve Hitachi CP-X8170 projectors for the environmental projection system. These ﬁve models are projecting onto the front and side walls, and we even go up to part of the ceiling. It really makes the congregation feel like they’re part of the scene rather than just looking at a projected image. The CP-X8170 projectors also provide the square aspect ratio that’s crucial for environmental projection and offer plenty of brightness at 7,000 lumens. We also have a pair of Hitachi CP-WX8265 projectors for our main, left/right projection screens. These projectors are used for our left and right words overlay and movie screenings that we host on occasion. The 8265’s have been great, they’re very bright, very clear, 720p. We’ve had no issues with them and they’ve been working well and everybody seems to love the ﬁnished product. They were easy to install and have been easy to operate and maintain. We also have a pair of Hitachi CP-WX8265 projectors for our main, left/right projection screens. These projectors are used for our left and right words overlay and movie screenings that we host on occasion. The 8265’s have been great, they’re very bright, very clear, 720p. We’ve had no issues with them and they’ve been working well and everybody seems to love the ﬁ nished product. They were easy to install and have been easy to operate and maintain. Using these projectors for environmental projection has allowed us to attract and hold the attention of the new media-centric generations, while not alienating the rest of the congregation. We have used one of our CP-WX8265 projectors for an outdoor movie night to project on a 20-foot inﬂ atable screen in the parking lot, which did a great job of attracting the community and allowing everybody to enjoy the technology. Dynamic Service Overall, the Hitachi CP-X8170 and CP-WX8265 projectors have helped make our services much more dynamic. We can have colors on the wall, we can have still scenes of nature or turn the sanctuary into a cathedral. We can also project videos of nature scenes. Since installing the Hitachi projectors, we’ve had people taking photos during the Sunday morning services and telling us how much they love the displays. A lot of our congregation has also noted that, even though our sanctuary is a large space, the projection makes them feel more like they’re part of their surroundings. Our congregation ranges in age from children all the way up to people in their 90s and the Hitachi projector system has been appealing across the board.